London, 16 January 2018: As Europe’s only automotive technology company analysing website activity on behalf of virtually all European car brands (OEMs) and automotive media, Sophus3’s new whitepaper – “The end of the ICE age? 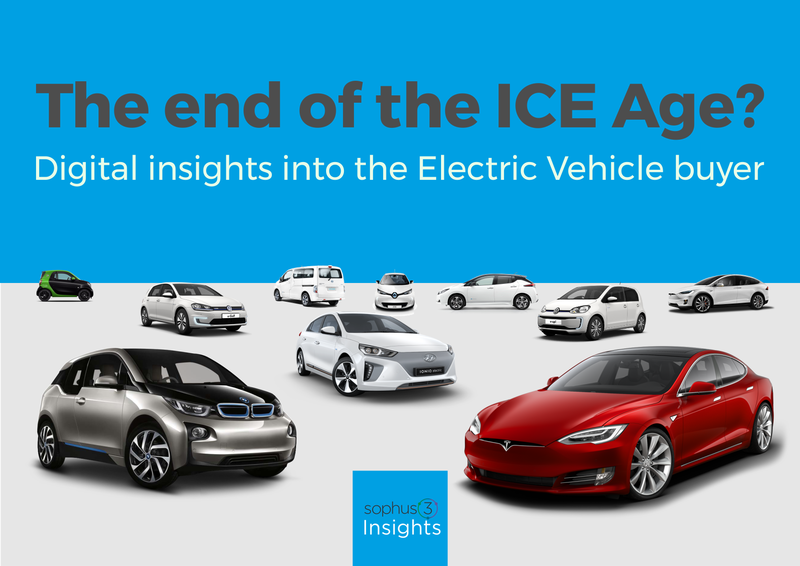 – Digital insights into the electric vehicle buyer” – delivers a unique level of insight and analysis into 2017’s electric vehicle (EV) buyer trends, and predictions for 2018’s EV market. 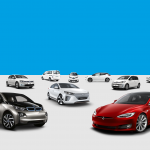 Four years since Sophus3 looked at the difficulties the OEMs were having trying to sell electric vehicles to sceptical consumers, and less than 12 months before some European cities ban diesels, Sophus3 has taken another detailed look at the online behaviour of car buyers interested in EVs. All indications are that 2018 will see game-changing impacts across electrification and significant uptake of hybrid or full-electric vehicles if Europe’s car brands address core consumer concerns and engage consumers better online……is this the beginning of the end for the internal combustion engine (ICE)? Much has changed in a positive direction in the past 12 months, but in most European countries the uptake of electric vehicles has been below expectations. Sophus3’s new whitepaper released today looks at where and how progress has been made, and what we can learn from consumers’ online behaviour that could guide vehicle manufacturers’ efforts in this area. Scott Gairns, Sophus3 Managing Director, said: “2018 will see a fundamental shift in attitudes towards electric vehicles, from politicians, manufacturers and consumers. There will be renewed pressures from all parties to either force customers into EVs or persuade them to go electric from traditional internal combustion engines. But it won’t be easy given the variety of choice and lack of consistency in product and charging options. It is not as simple as “petrol, diesel or electric?”….yet.